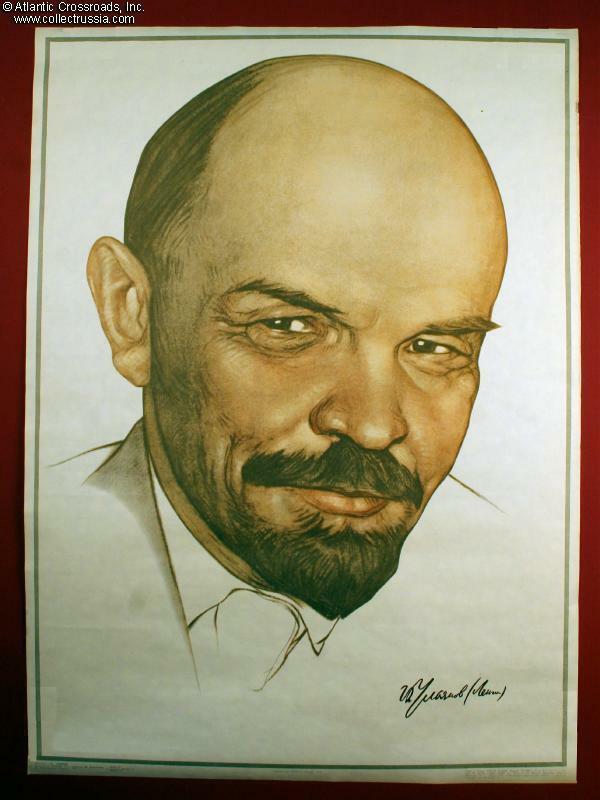 Grampa Lenin - probably the best known of all the later Cold War portrait-posters of the leader done in an attempt to make him accessible to young children. 19 1/4" x 26 3/8". Deliberately printed in subdued colors. Dated 1978. This image can usually be spotted in photographs of Young Pioneer meeting places, children's wards of hospitals, and sometimes on placards at rallies held for or by young Soviets.